I don’t tend to feature a lot of mens products on this blog, largely because getting G (aka Lord of the Lane) to actually write reviews is nigh on impossible. I also tend to steeer clear of press release posts because I think they are kind of boring unless it’s an especially exciting launch. This isn’t especially exciting but I do hope it will be useful with FathersDay looming this weekend and Liz Earle is a brand I really believe in. The Shave Essentials kit is £28.35 and includes Sensitive Shave Cream, a towelling cloth and a the Liz Earle After-Shaving Moisturiser all in a wash bag. I’ve got mine on order for Father’s Day for a special Grandad. 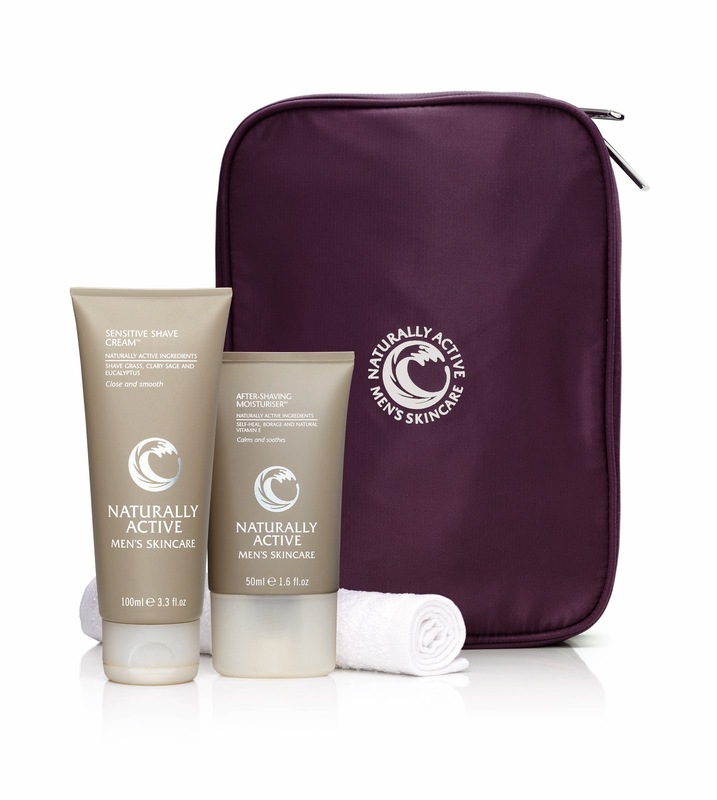 Also available are the Cleanse & Polish Hot Clothe Cleanser Starter Kit £13.25 and the Face Scrub (£12.25). Both designed with men in mind and I think we all know by now how ifonic the Cleanse and Polish cleanser is and the men’s is no less fabulous. So if you’re really struggling to think of Father’s Day pressies and your Dad is into a bit of grooming, then take a look at these. Available from http://www.lizearle.com/. Just a quick post for this lovely little product! A little tube of summery goodness. A lightly scented gel that comes in a 50ml tube for £8.95. You can add this whereever you fancy a touch of shimmery light, shoulders, cheekbones, anywhere really and it’s really nice. I’ve not used it on my face but have on my collarbones and shoulders and it’s really pretty. I actually really should try it out on my face because I think it’s mis-named as a shimmer because when it’s blended out it’s really more of a pretty glow unless you really look up close. Blended out it adds just the subtlest shine. Very pretty. I’ve been breastfeeding for more years than I care to think about and now my time doing it is coming to an end. There are fairly obvious pros and cons to this state of affairs. The pros (when it happens) are that I’ll be able to drink again and goodbye saggy nursing bras and hello to not being mauled in the night any more, well not by a baby at least. Cons, well the state of my bust isn’t quite what it was. When I got pregnant my bust size increased dramatically and stayed that way for the last four years. Now things are on the wane my size is shrinking and so things are not as um… plump and there is um a bit of sagging and definitely there are some stretch marks. Nice. Anyway, when I was sent the Superskin Bust Treatment to try out I could have jumped for joy. I’ve loved all the Superskin products I’ve tried so far so was looking forward to trying this out. It claims to plump and smooth the skin around your neck and bust along with improving elasticity. It’s a blend of all sorts of ingredients, antioxidants, omega-3, Neroli, Borage and green algae amongst other things. Firstly, it smells absolutely gorgeous. Really rich and I’d say it’s reminscent of incense. You warm a couple of pumps in your hands, massage it in, and sweep the remnants on your hands up over your chest and neck once a day. It’s £26 for 50ml which isnt as expensive as I thought it was going to be, I think the Superskin scent really smells expensive. Does it work? Well, yes I think it does. I think my stretch marks have faded and I really feel the skin feels tighter. It hasn’t made me any less saggy, but realistically, could any cream do that? But yes, definitely skin seems improved. I’ve been using for a couple of weeks so perhaps I’ve not given it long enough and if I get any further changes I will certainly report back. Regardless, I’m pleased with the results and would definitely recommend it. At the very least it feels really nice to be looking after a part of my body that is normally neglected and regularly takes a beating! So thank you Liz Earle for another lovely product. This post is a lesson to us all about reading the labels on things. I was sent this a while ago now to review and I was all set to not give this a great review until I realised I was using it all wrong. I read the name of the product and thought it was scented body spray and that the oils was simply a reference to the fact that it was an aromatherapy product. So giving myself a couple of quick spritzes, putting my clothes on, I was finding I could detect little or not scent. Doh! In fact this is actually a body oil in a spray form. You spritz it all over and then massage in. When you actually do that, you’ll find you can smell it. What an idiot. Anyway, Bliss, I’ve already talked about the fragrance in my candles post, but I’ll recap here. Floral accents of jasmine and ylang ylang. Rosewood and patchouli calm nerves and banish stress while sandalwood and black pepper soothe and fortify. It smells amazing. It couldnt’t be more up my street frankly. Jasmine, patchouli (which it is light on) and sandalwood are amongst my favourite scents, ever. It’s not greasy, is quickly absorbed as the base is so light (apricot, borage and passionflower oils). And yes, once you massage it in, all over, you really can smell it, and without meaning to go OTT, it really is blissful. 60mls will set you back £12.50 so it isn’t cheap, but some aromatherapy oils don’t come cheap and in my humble opinion it’s worth it. And whats more, because of the base, a little goes a long way so your £12.50 should last a good while and its very nicely moisturising. Highly recommended. Until very recently I had no idea that Liz Earle had an aromatherapy range, they are on the website but for some reason I’d never ventured into that section. The Aromatherapy section of the site section of the site includes body sprays, bath oils and candles. This review is concentrating on a couple of the candles. Namely the Bliss and Harmony Vital Oils Candles. Floral accents of jasmine and ylang ylang. Rosewood and patchouli calm nerves and banish stress while sandalwood and black pepper soothe and fortify. Uplifting grapefruit, sweet and warm clementine and zesty bergamot are blended with stress-reducing neroli. Petitgrain calms while cypress and frankincense help focus thought. Well the first thing to say is that they both smell beautiful. My favourite is the Bliss candle its a beautiful scent, exotic, heady and gorgeous but thats not to say that the Harmony isn’t lovely too, it really is. However, I find that both of these kick out more scent unlit than they do lit. I mean they are sat on my dressing table and you can smell them out on the landing, they fragrance the area very well, but when they are lit, this scent doesn’t seem to get any stronger which is a little disappointing. I have gotten into the habit of sitting at the dressing table each night before bed and lighting the candles while I while I cleanse and apply my potions and its all very soothing anyway so it’s not a complaint, but for me they simply don’t kick out enough stink, but the stink they do kick out is glorious. Shame really, I am enjoying having them and using them but I can’t really comment on whether I am sent into a state of bliss or harmony as they are not strongly scented enough to do the job. More fragrance oils in your candles please Liz! Liz Earle Botanical Essence No1 Eau de Toilette is the first fragrance from one of my favourite companies, Liz Earle. I was fortunate to be sent a bottle of this recently as a thank you and I was most grateful as I love it. I’ve drained the very last drops of the samples I had. I’m very definitely a fan. It’s the perfect day perfume. Lavender, rose, bergamot, geranium, coriander, tonka bean and patchouli (amongst others) combine to make a gorgeous scent. It’s warm but somehow fresh. It’s not heavy or heady, it’s light but also exotic. Honestly I really love this and highly recommend it. Coincidentally my Mum called a couple of days ago saying she’d received the Liz Earle Christmas Catalogue and a sample of the fragrance and she’s smitten too, so this is a recommendation from me and my Mum! If you are a bride to be or simply need to get your skin in order for a big day, I have been provided with a detailed guide describing which Liz Earle products to use and when which might just be handy for you. I could have done with it before my big day and perhaps I may not have ended up sporting Mount Vesuvius on my chin…. anyway, please have a read, and if it’s not applicable to you, skip to the bottom paragraph and read that please! Continue to thoroughly cleanse, tone and moisturise every day and start using Gentle Face Exfoliator 2-3 times a week. Boost your skin and circulation by dry body brushing with a natural bristle brush once a day before you shower. Start at your feet and work upwards in long, firm strokes towards your heart. Follow with Energising Body Scrub 3 times a week, paying attention to elbows, heels, knees and ankles. As the big day approaches, stress levels may be rising so balance any skin changes with a weekly mask. Need help choosing? Check out Jo’s blog on finding the right mask for you or give our team of expertly trained skincare advisors a call on 01983 813913. At night, start using a facial oil, such as Superskin Concentrate, to balance and calm stressed skin. Warm a small amount in your hands, then take a few moments to inhale the aromatic essential oils which calm the senses and can aid restful sleep. Then massage over your face, neck and chest area with light sweeping movements. Don’t forget your hands and feet. Start applying Foot Repair Moisturiser and Hand Repair every night before bed then massage Superbalm into your nails and cuticles. Help your eyes to sparkle by applying an eye compress in the morning to reduce dark circles and puffiness. Care for your eye area and soften fine lines with Daily Eye Repair in the morning and Superskin Eye & Lip Treatment at night. Go for a sauna or steam to cleanse your body and de-stress. For fuzz-free skin on the big day, book a bikini, leg and underarm wax. Soothe your skin afterwards with Instant Boost Skin Tonic – the organic aloe vera helps to keep skin ultra-hydrated and calmed. Give yourself a little ‘me-time’ by relaxing in a warm bath. If you have sensitive or dehydrated skin, use Intensive Nourishing Treatment Mask. Go for a professional file and varnish for your hands and feet, then top up with Hand Repair and Foot Repair Moisturiser daily. If you are planning to have a fake tan, prepare skin by buffing away dead skin cells with Energising Body Scrub and Gentle Face Exfoliator for the face. Lavish your skin with a body cream the day before your tan application to ensure even coverage. Treat any last-minute blemishes using Cleanse & Polish Hot Cloth Cleanser in the morning. Today is all about soothing your nerves so why not treat yourself to a professional massage? Also, try to avoid bread, pasta and salt as they can cause bloating and avoid alcohol completely if you want to look and feel your best. Go to bed early and sleep with a few pillows under your knees – this will help reduce puffy ankles in the morning. Massage a few drops of Superskin Concentrate over face, neck and the backs of hands. Have a warm bath and turn off your mobile. Eat a light meal such as a salad and soup and do not eat after 7pm – you will get a better night’s sleep. Thoroughly cleanse, tone and moisturise. Pop on a brightening Treatment Mask and an eye compress. Have a warm shower with, then apply some Hand Repair to your hands and Superbalm to your cuticles, while you take 5 minutes to relax and take some deep breaths. As you add your finishing touches, spritz your hair and behind your ears with your favourite perfume. Keep your lipstick, some tissues, and a travel size Instant Boost Skin Tonic Spritzer to soothe your skin and senses throughout the day. I think that’s a fantastic checklist and I could have benefitted from it hugely before my big day. However I do owe Liz Earle a huge thank you. Why? Because they sent a huge box of stuff, every item mentioned above, to my Sister who as you all know by now is getting married in a few weeks. I must also add that I told Liz Earle that I wouldn’t be blogging about it and would understand if they’d rather not send the box. They insisted and my sister was delighted. As it happened, I felt I simply must do a post about it, just to say thank you on behalf of myself and my Sister. It was incredibly thoughtful. Thank you. I’ve been waiting for this launch for a long time. I’ve not been waiting for the 6 years it’s been in development, but probably the best part of a year! Actually, whilst waiting for it to come along I hadn’t registered that it was SLS and SLES free… I don’t get on well with SLS free products as a rule. The vast majority I’ve tried leave me with straw like hair. So I was interested when this finally arrived on my doorstep, but lets just say my expectations were low. The range has one shampoo that should suit everyone and then three conditioners, for Normal, dry and oily hair. I was sent the shampoo and conditioner for dry hair. At £7.50 for 200mls (thats the price of the shampoo and the conditioner) it’s pretty much middle of the range in price. Both products smell gorgeous, they are reasonably heavily perfumed, so if thats not your bag then these are probably best avoided, but I love my hair to smell nice when it’s been washed. So, the shampoo. Does the one style SLS free shampoo really suit all? Well I love it. There’s no hassle creating a lather (why can’t other brands manage this??) and most importantly, while I’m washing my hair doesn’t start forming a great big dry dreadlock (as usually happens with the ore natural haircare), no, my hair lathers well and rinses out easily leaving me with tangle free locks! Result. First thumbs up. Next the Botanical Shine Conditioner for dry hair. It’s thick and luscious, smells gorgeous, rinses out easily and leaves my hair feeling silky soft. Not sure there’s much more I can say than this. It’s lovely. My hair is pretty much frizz free too, although thats not a claim the product makes, it is however my finding and I’ve had comments on how lovely my hair smells too. I love Liz Earle products and I know that I’m guilty of being evangelical about them at times, but I’m sorry, I’m going to do it again, gorgeous products and those six years of development? Well and truly worth the wait. Another fab Liz Earle Review. Sometimes it gets a bit embarrassing as there’s not much I can find that Liz Earle do wrong. This is a lovely product for the Summer. I’m not sure the fabric bag comes with this lovely kit but what I am sure about is that you get a little zippy bag that contains a 30ml Skin Tonic Spritzer, 15ml of Skin Repair Moisturiser dry/sensitive, 5g of Superbalm and 15mls of Hand Repair Cream. 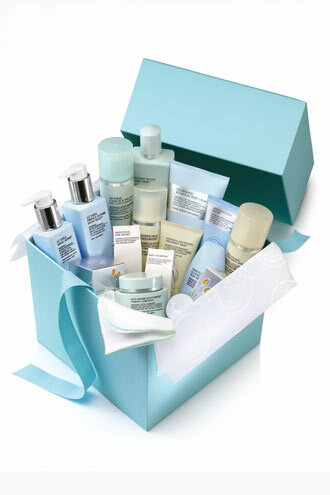 This kit retails at £15.75 and is available from www.lizearle.com. The little bag is the perfect size to pop into your hand luggage for a flight. The likelihood of me getting a flight in the near future is slim to zero but even so I think this little bag will fit in my handbag and be my Summer out and about kit. I’ve already reviewed the Skin Repair Cream and Toner, although I’m looking forward to using the toner as a spritzer instead of on cotton wool. Both are lovely. The hand cream is lovely and lightly scented and fairly quickly absorbed, it’s not the quickest but it’s within a minute or two which is fine by me. The Superbalm is something I’ve wanted to try for a while now and it’s perfect! Use it on your cuticles, dry elbows, flaky nose anywhere that needs a hit of moisture. I wish I was going on holiday but as I say, I’ll be carrying these handy size bits in my handbag for the rest of the Summer and in fact probably through Winter too. A really great little kit. Well this plonked through my letter box a few days ago. It was a boiling hot day, my feet were hot and aching from a trek around town in my sandals. Truly a gift from God. Well actually a gift from the very lovely Patricia at Liz Earle. So what have we got here then? The new Foot Spritzer is part of the foot care collection, retails for £7 for 75mls and is only available from 18th May to 5th September 2010, while stocks last. So the aim is you spray over your legs, ankles and feet and it cools an invigorates, dries quickly and fights odour. Lots of scrummy ingredients in there as I would expect. Aloe Vera, Cedarwood, Eucalyptus, Patchouli (mmm! ), Rosemary & more. The overriding scent to my nose is the rosemary. It’s a nice fresh herbal scent, even Chloe came over and wanted some on her feet and she usually hates any beauty related products even if they are nowhere near her! I’ve used this daily since it arrived, often several times a day, it’s an instant refresher and Chloe and I love it! Would definitely recommend without hesitation. The best bit is the quick drying aspect. I often have problems with products for feet as they leave my feet damp for ages and invite fungal infections so it was with trepidation I used this but it’s simply not an issue. An affordable Summer essential for me. Highly recommended.